Have you ever felt like your struggles with diets and weight loss programs are endless? Have you tried every weight loss plan out there with little success? If you’re struggling with obesity, have an inability to lose weight, or lose weight very slowly, DietDemand can help. Genetic testing for diet and weight loss has helped thousands of people get to the root of their weight loss struggles, and you could be next. Our genetic weight loss testing option is conducted via a home test kit that is evaluated by a major genetic laboratory in La Jolla, California. Tests can be performed for uncovering details about genetic factors in slow weight loss, nutrition, vitamin, and supplement absorption, metabolic function, and ideal physical activity. 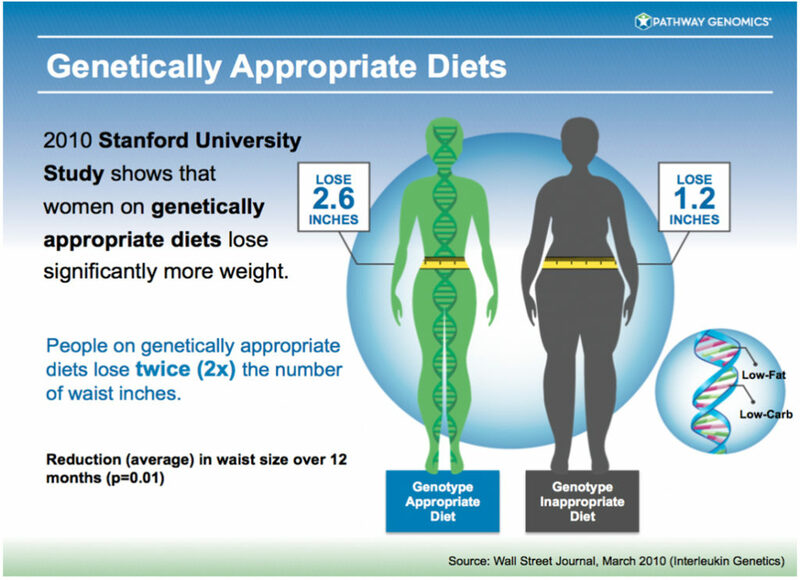 How Does Genetic Weight Loss Testing Work? Based on the results of your test, one of our trained doctors in genetic consultations will review your genetic weight loss test results with you. We’ll recommend a genome diet, vitamins and/or supplements, metabolic function information, and ideal physical activity based on your genetics. These genetic weight loss tests can uncover problems you might have had your entire life, such as slow weight loss and an inability to get within your normal body mass index. They can also help give direction and guidance concerning medications and conditions affecting weight loss, such as type II diabetes, high blood pressure, high cholesterol, or family history of these conditions. If you test positive for marker(s) relating to genetic weight loss challenges, are on medications leading to weight gain, or have a family genetic link to a condition related to weight gain, there is a higher likelihood that you will benefit from genetic testing for diet and weight loss. The success of genetic weight loss programs has been shown to amplify weight loss results for the right candidates. In a 2010 study, patients on genetically-determined diets lost 5.3% of their body weight, compared to only 2.3% in the control group.